Ireland has a well-established efficient prudential regulatory infrastructure that complies with best international standards and focuses on risk-based regulation and the application of the proportionality principle. The Central Bank of Ireland (the Central Bank) is responsible for the prudential supervision and regulation of (re)insurance undertakings authorised in Ireland to ensure compliance with regulatory requirements. The Central Bank is a well-regarded regulatory authority and enjoys a reputation for being a robust yet business-friendly regulator. The European Union (Insurance and Reinsurance) Regulations 2015 (the 2015 Regulations), which transposed Directive 2009/138/EC of the European Parliament and of the Council of 25 November 2009 (Solvency II) into Irish law, sets out the regulatory framework within which insurance activity may be carried out by (re)insurers in Ireland. The 2015 Regulations received minor amendments by way of the European Union (Insurance and Reinsurance) (Amendment) Regulations 2017 (the 2017 Regulations). The Central Bank plays a pivotal role in the supervision and regulation of (re)insurance undertakings in Ireland to ensure compliance with regulatory requirements without placing burdensome administrative requirements on (re)insurance operators. The Central Bank’s administrative sanctions regime provides it with a credible tool of enforcement and acts as an effective deterrent against breaches of financial services law. What are the requirements for formation and licensing of new insurance and reinsurance companies? The incorporation procedure in Ireland is straightforward. A company wishing to apply for a licence to carry out (re)insurance business in Ireland may adopt the form of a designated activity company (DAC), a public limited company, an unlimited company, a company limited by guarantee or a societas Europaea. The DAC is by far the most common form adopted by (re)insurance companies in Ireland and is very similar to the traditional private company limited by shares that existed prior to the introduction of the Companies Act 2014. The DAC’s constitution includes a memorandum and articles of association. The objects clause of the memorandum of association of a DAC sets out the activities that the (re)insurance company has the corporate capacity to undertake. Generally speaking, a DAC may take up to five business days to be incorporated by making an application to the Irish Companies Registration Office. In order to establish a (re)insurance undertaking in Ireland, an application is required to be made to the Central Bank pursuant to the 2015 Regulations. The Central Bank has an established process for dealing with applications for authorisation of (re)insurance undertakings. The Central Bank has published both a checklist for completing and submitting applications for authorisation under the 2015 Regulations (the Checklist) as well as a guidance paper to assist applicants. The application comprises of the completed Checklist and a detailed business plan, together with supporting documents (collectively, the Business Plan). consumer issues (eg, minimum competency requirements and consumer protection code). once all conditions are satisfied, the Central Bank will issue the final authorisation and the (re)insurer can commence writing business in Ireland. From submission of the formal application to the Central Bank to receipt of the final authorisation, it takes in the region of three to six months. The Central Bank does not currently charge a fee for licence applications. What licences, authorisations or qualifications are required for insurance and reinsurance companies to conduct business? As mentioned above, (re)insurance undertakings must obtain prior regulatory approval from the Central Bank in order to conduct (re)insurance business in Ireland. The authorisation is granted to either a life or non-life (re)insurance undertaking in respect of one or more specified classes of insurance, which relate to different types of risk. No further authorisation is required to be granted by the Central Bank provided that the undertaking is operating within the scope of the licence granted and there are no material changes to the Business Plan submitted to the Central Bank. Any (re)insurance undertaking authorised to carry out its activities may establish branches in other EU member states or operate in these countries on a freedom of services basis, provided that the relevant notifications are made in accordance with the 2015 Regulations. What are the minimum qualification requirements for officers and directors of insurance and reinsurance companies? Part 3 of the Central Bank Reform Act 2010 (the 2010 Act) established a statutory system for the regulation by the Central Bank of persons performing controlled functions (CFs) or pre-approval controlled functions (PCFs) for regulated financial service providers. A regulated financial service provider (including a (re)insurance undertaking) may not permit a person to perform certain prescribed roles unless the regulated financial service provider is satisfied, on reasonable grounds, that the person complies with the Central Bank’s Minimum Competency Framework (as defined below) and the person has agreed to abide by the standards of fitness and probity. The requirement ensures that such senior personnel are competent and capable, honest, ethical and of integrity and also financially sound. The Minimum Competency Framework means the Minimum Competency Code 2017 and the Central Bank (Supervision and Enforcement) Act 2013 (Section 48 (1) Minimum Competency Regulations 2017 (the Minimum Competency Regulations 2017) which together replaced the existing Minimum Competency Code 2011 with effect from 3 January 2018. The Minimum Competency Framework is closely linked to the fitness and probity regime. Officers, directors and persons who exercise senior management positions will generally constitute PCFs and persons intending to occupy PCF roles must be pre-approved by the Central Bank in advance of a person being appointed to such roles under its fitness and probity regime. have shown the competence and proficiency to undertake the relevant function. Specified individuals in such functions are also required to undertake a programme of continuing professional development. More than one of the key functions can be combined and undertaken by one individual if the entity is satisfied that the nature, scale and complexity of the (re)insurance undertaking allows it. The individual appointed to more than one PCF role must display the competency for each separate role and demonstrate that holding multiple roles will not give rise to conflicts of interest. The Central Bank must approve that person for each PCF role. As a general rule, persons carrying out internal audit functions must not assume responsibility for any other function. It should also be noted that the Central Bank requires that the number of financial directorships (ie, directorships of insurance undertakings and credit institutions) held by a director of a non-high-impact designated insurance undertaking will not exceed five (limited to three for high-impact designated firms) and this would include financial directorships of institutions authorised outside of Ireland. This restriction does not apply to other directorships held within the same group. If an individual holds more than five financial directorships, this creates a rebuttable presumption that the director has insufficient time available to fulfil his or her role and functions. Submissions can be made to the Central Bank in this regard for a derogation. What are the capital and surplus requirements for insurance and reinsurance companies? insurance companies regulated by the Central Bank are required to meet the capital and solvency requirements set out under Solvency II, the 2015 Regulations, and the 2017 Regulations. Irish-authorised (re)insurance undertakings are also required to establish and maintain a further solvency margin as a buffer to ensure their assets are sufficient to cover their liabilities. The Solvency II capital requirements are calculated based on the specific risks borne by the relevant insurer and are prospective in nature (ie, each insurer must make the relevant calculations at least once a year to cover both existing business and the new business expected to be written over the following 12 months). Solvency II imposes a solvency capital requirement (SCR) and a lower, minimum capital requirement (MCR). A (re)insurance undertaking may calculate the SCR based on the formula set out in the 2015 Regulations or by using its own internal model approved by the Central Bank. The SCR should amount to a high level of eligible own funds, thereby enabling the undertaking to withstand significant losses and ensuring a prudent level of protection for policyholders and beneficiaries. The MCR should be calculated in a clear and simple manner, corresponding to an amount of eligible, basic own funds, below which policyholders and beneficiaries would be exposed to an unacceptable level of risk if the undertaking were allowed to continue its operations. A (re)insurance undertaking must have procedures in place to identify and inform the Central Bank immediately of any deteriorating financial conditions. As such, the SCR and MCR provide for clear channels by which the Central Bank can monitor the financial state of (re)insurance undertakings. In the event of a breach of the capital requirements, the Central Bank will employ an escalating ladder of supervisory intervention, allowing for the implementation of a recovery plan by an insurance undertaking, as approved by the Central Bank. Where there is a breach of the SCR or MCR, compliance must be re-established within six months or three months respectively, otherwise the Central Bank may restrict the free disposal of the assets of the undertaking and ultimately withdraw its authorisation. What are the requirements with respect to reserves maintained by insurance and reinsurance companies? Irish-authorised (re)insurance undertakings are required to establish and maintain technical provisions in respect of all insurance and reinsurance obligations towards policyholders and beneficiaries of insurance or reinsurance contracts. The 2015 Regulations, Solvency II and the Commission Delegated Regulation (EU) 2015/35 (the Delegated Regulations) contain the ‘technical provisions’ relating to the calculation of reserves to be maintained by (re)insurance undertakings. The value of technical provisions is to be calculated as a combination of the best estimate and a risk margin. What are the regulatory requirements with respect to insurance products offered for sale? Are some products regulated by multiple agencies? incorporated bodies having an annual turnover of €3 million or less in the previous financial year (provided that such body shall not be a member of a group of companies having a combined turnover greater than the said €3 million); and includes where appropriate, a potential consumer. The CPC contains specific provisions relating to the sale of insurance products in Ireland. These include provisions relating to information and documentation required to be provided to consumers both pre- and post-sale relating to the relevant products. European Communities (Distance Marketing of Consumer Financial Services) Regulations 2004 (as amended). It should be noted that the Central Bank does not require the submission of product documents by insurance undertakings operating in the Irish market. Insurance undertakings that offer certain products are subject to additional regulation by other authorities. By way of example, health insurers operating in the Irish market are subject to prudential supervision by the Central Bank but are also required to be registered with the Health Insurance Authority, which also supervises health insurers, particularly with regard to the products offered to Irish customers. What are the frequency, types and scope of financial, market conduct or other periodic examinations of insurance and reinsurance companies? The Central Bank’s supervisory role involves overseeing a (re)insurance undertaking’s regulatory capital, corporate governance, risk management and internal control systems without placing burdensome administrative requirements on (re)insurance operators. The Central Bank introduced its Probability Risk and Impact System (PRISM) framework in late 2011, which is a systemic risk-based framework against which the Central Bank assesses supervisory requirements. All regulated firms are categorised as either high-impact (including ultra-high), medium-high impact, medium-low impact or low impact. The category assigned determines the level of supervision and the regulatory fees payable to the Central Bank, which are aligned with the entity’s PRISM rating. The ratings are set according to the systemic risk posed by regulated entities, that is, entities that are categorised as being high-impact under PRISM are subject to a higher level of supervision by the Central Bank as such firms are important for ensuring financial and economic stability. PRISM recognises that the Central Bank does not have infinite resources and selectively deploys supervisors according to a regulated firm’s potential impact and probability for failure. In addition, the Central Bank implements its supervisory function by requiring that (re)insurance undertakings submit annual and quarterly returns on solvency margins and technical reserves. The qualitative reporting under the 2015 Regulations includes the Regular Supervisory Report (the RSR), the Solvency and Financial Condition Report (the SFCR), as well as the ORSA. The quantitative reporting includes the technical provisions, own funds and other data on the regulated entity. All quantitative reporting templates (QRTs), the ORSA and the RSR will be reported privately to the Central Bank. A limited number of QRTs and additional qualitative information are required to be made publically available in the SFCR on an annual basis. In addition to PRISM, the Central Bank’s administrative sanctions procedure acts as an effective deterrent against breaches of financial services law including the 2015 Regulations. What are the rules on the kinds and amounts of investments that insurance and reinsurance companies may make? For regulatory capital purposes, (re)insurance undertakings are required to invest assets in accordance with the prudent person principle. This principle sets out the requirements applying from 1 January 2016 to investments and the associated risk management of primary (re)insurers subject to Solvency II. Regulation 141 of the 2015 Regulations (or article 132 of the Solvency II Directive) and the Delegated Regulations include provisions on how (re)insurance undertakings should invest their assets and cover extensively some of the main aspects of the prudent person principle, such as asset-liability management, investment in derivatives, liquidity risk management and concentration risk management. Guidelines on the prudent person principle form part of the European Insurance and Occupational Pensions Authority (EIOPA) Guidelines on System of Governance. In addition, a supervisory review process on the review of this principle has been developed for the Central Bank supervisors. Neither the legislation nor the EIOPA guidance provides a definition of the concept of a ‘prudent person’. In general, the prudent person principle compels an undertaking to show that their investment strategy matches the interests of policyholders. With respect to the whole portfolio of assets, undertakings shall only invest in assets and instruments whose risks the undertaking concerned can properly identify, measure, monitor, manage, control and report, and appropriately take into account in the assessment of its overall solvency needs. It further provides that all assets, in particular covering the MCR and SCR shall be invested in such a manner as to ensure the security, quality, liquidity and profitability of the portfolio as a whole. In addition, the localisation of those assets shall be such as to ensure their availability. Assets held to cover the technical provisions shall also be invested in a manner appropriate to the nature and duration of the insurance liabilities. Those assets shall be invested in the best interest of all policyholders and beneficiaries; taking into account any disclosed policy objective. The 2015 Regulations requires (re)insurance undertakings to hold eligible ‘own funds’ equal to the SCR to cover unexpected losses arising both from their underwriting business and the assets in which they invest, and the investment strategy of (re)insurance undertakings is to be determined on a risk based calculation of the insurer’s SCR. What are the regulatory requirements on a change of control of insurance and reinsurance companies? Are officers, directors and controlling persons of the acquirer subject to background investigations? In accordance with the 2015 Regulations, a proposed acquirer shall not, directly or indirectly, acquire or dispose of a qualifying holding in a (re)insurance undertaking without having previously notified the Central Bank in writing of the intended size of the qualifying holding (defined below). A ‘qualifying holding’ means either a direct or indirect holding in a (re)insurance undertaking that represents 10 per cent or more of the capital of, or the voting rights in, the undertaking, or that makes it possible to exercise a significant influence over the management of the undertaking. The notification is typically made by the parties jointly completing an acquiring transaction notification form (Notification Form) and submitting it to the Central Bank. Detailed information in respect of each of the notifying parties must be included in the Notification Form, particularly in respect of the target entity and the proposed acquirer or disposer. To avoid undue delays in the notification and assessment process, and to reduce the risk of submitting incomplete notifications, the proposed acquirer is expected to engage in pre-notification contact and discussions with the Central Bank. Following submission of the Notification Form to the Central Bank, it will acknowledge receipt of same within two working days and will carry out its assessment of the proposed transaction within 60 working days of this acknowledgement. It will also confirm the date on which the assessment period of the proposed transaction will end. During the assessment period, but no later than the 50th working day of that period, the Central Bank may request further information or clarification necessary to complete its assessment of the proposed transaction. If such a request is made by the Central Bank, the 60-day assessment period is taken to be interrupted for the shorter of: (i) the period between the date of the request and the date of the receipt of a response from the proposed acquirer; and (ii) 20 working days. In certain circumstances, the Central Bank may extend the interruption period to 30 working days. The Central Bank is entitled to make further requests for information. Such further requests will not, however, interrupt the assessment period. Nonetheless, if any additional requested information is not provided on a timely basis, then the application may be rejected on the grounds of incomplete information. In such an event, an applicant would, if so minded, need to recommence the application process. In carrying out its assessment of the proposed transaction, the Central Bank may consult with other supervisory authorities in the EEA member states of the notifying parties where relevant. If the Central Bank does not give written notice within the assessment period that it opposes the proposed transaction, it is deemed to be approved. It is open to the Central Bank, however, to impose either a condition or a requirement or both in relation to the proposed transaction. The Central Bank may also fix a maximum period within which the proposed transaction must be completed. In rare circumstances where the Central Bank opposes the proposed transaction, it must inform the proposed acquirer or disposer of this in writing within two working days but in any case, before the end of the assessment period and provide reasons for such opposition. The Central Bank’s opposition to the proposed transaction is only permitted where there are reasonable grounds for doing so, or where incomplete information is provided in the Notification Form or in a response to a request for further information (as outlined above). Any decision by the Central Bank to oppose the proposed transaction can be appealed to the Irish Financial Services Appeals Tribunal. In general, the proposed individuals who will direct the business of the target entity as a result of the proposed transaction must be of good standing and the Central Bank will assess the suitability of all persons proposed to be appointed to a PCF who must comply with its fitness and probity regime. The approval process requires the submission of an individual questionnaire to the Central Bank for each proposed individual. In addition, any person seeking to acquire or dispose of a shareholding or other interest that would either give them a qualifying level of control in a (re)insurance undertaking or increase that person’s control above certain levels must first obtain the approval of the Central Bank. whether the target entity will be able to comply and continue to comply with the prudential requirements of existing legislation. What are the requirements and restrictions regarding financing of the acquisition of an insurance or reinsurance company? There are no specific requirements or restrictions under Irish law regarding financing the acquisition of a (re)insurance company. However, as noted in question 10, a Notification Form must be submitted to the Central Bank prior to the proposed acquisition of a qualifying holding (as defined in question 10) in a (re)insurance company. The Notification Form requests details of the proposed acquisition and the proposed acquirer, the rationale for the proposed acquisition and details regarding the impact of the proposed acquisition on the target entity. In this regard, it is necessary to provide a detailed business plan for the target entity, setting out the proposed direction of the business, including financial projections over three years, and demonstrate that the proposed acquirer has sufficient resources to effectively support the target entity within the requirements of the supervisory regime, together with full details on the cost of the proposed acquisition and confirmation as to how the acquisition will be financed. What are the regulatory requirements and restrictions on investors acquiring a minority interest in an insurance or reinsurance company? Where the proposed acquisition represents voting rights or share ownership of less than 10 per cent (ie, not a qualifying holding as defined in question 10), there are no specific restrictions on investors acquiring a minority interest. However, where the interest is 10 per cent or more (ie, a qualifying holding), the regime described in question 10 will apply. As noted above, the Central Bank must be also notified of any increase in a holding above 10 per cent in (re)insurance undertakings, which would result in the size of the holding reaching or exceeding yardsticks of 20, 33 or 50 per cent. What are the regulatory requirements and restrictions concerning the investment in an insurance or reinsurance company by foreign citizens, companies or governments? There are no specific regulatory requirements or restrictions in Irish law governing the investment of foreign citizens, companies or governments in (re)insurance undertakings. However, as noted in question 10, a Notification Form must be submitted to the Central Bank prior to the proposed acquisition of a qualifying holding (as defined in question 10) in a (re)insurance company. What is the supervisory framework for groups of companies containing an insurer or reinsurer in a holding company system? What are the enterprise risk assessment and reporting requirements for an insurer or reinsurer and its holding company? What holding company or group capital requirements exist in addition to individual legal entity capital requirements for insurers and reinsurers? In all group undertakings, the risk management, internal control systems and reporting procedures must be implemented consistently. These group internal control mechanisms must include, at minimum, adequate mechanisms to identify and measure all material risks incurred, to appropriately relate eligible own funds to risks, and sound reporting and accounting procedures to monitor and manage the intra-group transactions and risk concentration. These procedures must be satisfactory to the Central Bank. As provided for in the 2015 Regulations, participating (re)insurance undertakings and the relevant insurance holding company or mixed financial holding company should undertake the ORSA that is required as part of a (re)insurance undertakings risk management system. The calculation of solvency at group level can be conducted using either the accounting consolidation-based method or the deduction and aggregation method. Holding companies are not themselves subject to any specific additional capital requirements under Irish legislation. However, they must comply with the processes and procedures prescribed under the 2015 Regulations for (re)insurance companies in relation to their capital requirements. The group supervisor will usually be the supervisory body in the EEA member state where the group has its headquarters. Where the Central Bank is the group supervisor it will review the systems and reporting procedures, and review the ORSA conducted at group level to supervisory review. Further, the Central Bank may permit the participating (re)insurance undertaking, insurance holding company or mixed financial holding company to undertake any assessment required in relation to risk and solvency at a group level at the same time enabling the group to produce a single document covering all relevant assessments. by supervising an EU sub-group only. What are the regulatory requirements with respect to reinsurance agreements between insurance and reinsurance companies domiciled in your jurisdiction? how the reinsurance programme will be monitored (ie, the reporting and internal control systems). a provision providing for reports, at least quarterly, regarding premiums paid and incurred losses. What requirements and restrictions govern the amount of ceded reinsurance and retention of risk by insurers? The Central Bank requires insurance companies to hold at least 10 per cent of their own risk; 100 per cent reinsurance is not typically permitted in Ireland. What are the collateral requirements for reinsurers in a reinsurance transaction? There are no specific collateral requirements for reinsurers in a reinsurance transaction under Irish law. However, the Guidelines (see question 15) provide that an insurer’s reinsurance strategy should include an evaluation of the reinsurer’s security and collateral. Moreover, the precise nature of the collateral is an issue for the parties to the contract to agree. It is also worth noting that the 2015 Regulations do not permit the Central Bank to impose, on reinsurers from other member states or an ‘equivalent jurisdiction’, collateral requirements that require the pledging of assets to cover unearned premiums and outstanding claims provisions. What are the regulatory requirements for cedents to obtain credit for reinsurance on their financial statements? Under the 2015 Regulations, a life or a non-life insurance undertaking can take credit in respect of a contract of reinsurance against its technical reserve requirements only to the amount that can reasonably be expected to be recovered under the contract of reinsurance. No account is taken of any debts arising out of reinsurance operations that are owed by intermediaries if these debts have been outstanding for longer than three months. What laws govern insolvent or financially troubled insurance and reinsurance companies? it is just and equitable to have the company wound up. Part 18 of the 2015 Regulations governs the reorganisation and winding-up of insurance undertakings and Chapter 3 of Part 18 sets out the procedures for the commencement of the winding-up proceedings, the treatment of insurance claims, the right to lodge claims and the withdrawal of authorisation. Receivership is not strictly speaking an insolvency process but facilitates the enforcement of security. A receiver may be appointed by the court or on the basis of a contractual right contained in a charge (a form of security over assets). A receiver’s function is to realise the charged assets and to repay the secured debt. proceedings cannot be issued or continued against the company except with the leave of the court. A scheme of arrangement (that is, schemes that attempt to find a compromise between a company and its creditors and avoid the need for liquidation) is governed by section 450 of the Companies Act 2014 and can be used to rescue companies in financial difficulty. The scheme must have been approved by meetings of creditors or members who have convened the meeting. What is the priority of claims (insurance and otherwise) against an insurance or reinsurance company in an insolvency proceeding? Under regulation 277(1) of the 2015 Regulations, insurance claims shall, with respect to assets representing the technical provisions of an insurance undertaking, take absolute precedence over any other claims on the insurance undertaking including claims accorded preference under section 621 of the Companies Act 2014. However, where a life insurance undertaking is authorised to write non-life insurance for accident or sickness, the insurance claims in relation to the life business of the undertaking shall, with respect to the assets representing the life technical provisions of the undertaking, take absolute precedence over any claims in relation to the non-life insurance business of the undertaking. Furthermore, insurance claims in relation to the insurance business of the undertaking falling within the categories of accident or sickness shall, with respect to the assets representing the non-life technical provisions of the undertaking, take absolute precedence over any claims in relation to the life business of the undertaking. Despite this, however, expenses arising out of winding-up proceedings shall take precedence over insurance claims to the extent that the assets of the undertaking other than the assets representing the technical provisions, are insufficient to meet such expenses; and, in a situation where a life insurance undertaking writes non-life insurance for accident or sickness, such expenses shall be divided proportionally between the assets representing life non-life technical provisions. The priority of claims against the remaining funds in a (re)insurance company that has entered into insolvency proceedings is the same as against any company (section 621 of the Companies Act 2014). Claims will be paid out in order of priority to secured creditors, preferential creditors and unsecured creditors. What are the licensing requirements for intermediaries representing insurance and reinsurance companies? Part 2, section 5 of the European Communities (Insurance Mediation) Regulations 2005 (IMD Regulations) provides that a person cannot purport to undertake (re)insurance mediation unless they have registered with the Central Bank as a (re)insurance intermediary or are exempt from such registration. In addition to authorising insurance companies to carry out the business of insurance, the Central Bank also maintains a register of authorised (re)insurance intermediaries in Ireland. The IMD Regulations define ‘insurance mediation’ broadly as ‘any activity involved in proposing or undertaking preparatory work for entering into insurance contracts, or of assisting in the administration and performance of insurance contracts that have been entered into (including dealings with claims under insurance contracts)’. Activities specifically excluded from the definition include an activity that is undertaken by an insurer or an employee of such an undertaking in the employee’s capacity as such, or involves the provision of information on an incidental basis in conjunction with some other professional activity, so long as the purpose of the activity is not to assist a person to enter into or perform an insurance contract, or involves the management of claims of an insurance undertaking on a professional basis, or involves loss adjusting or expert appraisal of claims for reinsurance undertakings. In Ireland, the IMD Regulations capture most activities that insurance agents engage in other than limited back office claims management. However, the definition of insurance mediation in the IMD Regulations refers to activities that include ‘dealing with claims’ and not the management of such claims. Therefore, it is the generally accepted understanding that insurance undertakings who engage solely in the administration of insurance claims, without assisting the insured with regard to claims are not governed by the IMD Regulations. The Irish Investment Intermediaries Act 1995 (IIA), has not been disapplied and continues to govern the regulation of intermediaries despite the IMD Regulations. As such, two pieces of Irish legislation govern intermediaries operating in Ireland. In practice, however, the Central Bank treats the provisions of the IIA as having been formally disapplied, although this is not strictly accurate. As such, technically the IIA is still in force and insurance intermediaries should continue to comply with the IIA as well as the provisions of the IMD Regulations. The Insurance Distribution (Recast) Directive 2016/97 (the IDD) was required to be transposed into Irish law by 23 February 2018, at which point the provisions of the IMD Regulations were to be repealed. However, owing to discussions held at European level, the transposition date of the IDD has been postponed to 1 October 2018. Like its predecessor, the IDD is a ‘minimum harmonising’ directive. The IDD creates a minimum legislative framework for the distribution of (re)insurance products within the EU and aims to facilitate market integration and enhance consumer protection. The IDD introduces general consumer protection principles for all insurance distributors to act honestly, fairly and professionally and in accordance with the best interests of the customer. Can a third party bring a direct action against an insurer for coverage? A contract is not generally enforceable in favour of or against a person who is not a party to the contract under Irish law because of the common law doctrine of privity of contract. There is no Irish legislation providing for the rights of third parties, as there is no equivalent to the UK Contracts (Rights of Third Parties) Act 1999. Section 76(1) of the Road Traffic Act 1961 and section 62 of the Civil Liability Act 1961 (the Civil Liability Act) provide limited exceptions to this rule. For example, a claimant in a road traffic accident is entitled to claim against the insurance company of the owner or driver of the other vehicle involved in the accident. In circumstances where an insured under a liability insurance policy becomes bankrupt or dies (individual), is wound up (company) or dissolved (partnership or other incorporated association), a third party may have a direct action against the insurer under section 62 of the Civil Liability Act. The scope and operation of section 62 of the Civil Liability Act is quite limited following clarification by the High Court in recent years. The Irish courts have confirmed that liability in the underlying claim against the insured must be established before the insurer can be joined to proceedings or sued. The Irish courts will recognise a valid repudiation by an insurer, a claimant cannot remedy a breach by an insured of the insurance policy (McCarron v Modern Timber Homes Limited (in liquidation)  1IR 169, Shaun McColgan, Daniel McColgan v Quinn Insurance Limited (unreported) High Court [3 December 2012] and Yun Bing Hu v Duleek Formwork Limited (in liquidation) and Aviva Direct Ireland Limited  IEHC 50). In certain circumstances, a beneficiary of a trust can directly enforce the rights of the trust against an insurer. However, the burden of proving that the trust exists rests on the beneficiary, and the beneficiary must also be able to show that he or she is entitled to the benefit of the particular insurance policy by proving ‘more than a reasonable expectation’ that he or she is to benefit (In re Irish Board Mills Ltd (in Receivership)  ILRM 216). The Consumer Insurance Contracts Bill 2017 was referred to the Select Committee on Finance, Public Expenditure and Reform, and the Taoiseach in February 2017. It is at the third stage in the Dáil (the lower house of Parliament) however there is currently no clear timeline for its implementation. The Bill was published following a report by the Law Reform Commission in 2015 that recommended reforms to consumer insurance law. Section 18(1) and section 18(2) of the Bill provide that where a policy provides insurance against a liability which may be incurred to a third party, and where the person has died, cannot be found, or is insolvent, or where for any other reason it appears to a court to be just and equitable to so order, the third party should benefit from the rights of the insured person under that contract of insurance and should be entitled to enforce those rights directly against the insurer, notwithstanding anything to the contrary in any enactment or rule of law, including the doctrine of privity of contract. Section 18(4) of the Bill provides that third parties should be entitled to issue proceedings directly against an insurer before the establishment of liability of the particular insured person, but that the liability of the insured must be established throughout the course of those proceedings before the rights of the third party can be enforced. Can an insurer deny coverage based on late notice of claim without demonstrating prejudice? Generally, any consequences of late notice will be set out in the insurance policy. In circumstances where late notice requirements are a condition precedent to liability, an insurer is entitled to deny coverage for a breach without having to demonstrate that it has suffered loss or prejudice as a result of that breach. Absent such a condition precedent, damages are the only remedy available to insurers for late notice of a claim by an insured. The Irish courts are reluctant to allow insurers to deny coverage for technical breaches of notice conditions, particularly for mere failure to notify a circumstance. While an objective test is applied, in practice the court will consider whether an insured had actual knowledge of the particular circumstance that it is alleged should have been notified to insurers. The knowledge of the insured in that respect is subjective. Is an insurer subject to extra-contractual exposure for wrongful denial of a claim? Under Irish law, an insurer is not subject to extra-contractual exposure in the event of wrongful denial of a claim. However, the insured may have a remedy in damages for breach of contract. What triggers a liability insurer’s duty to defend a claim? Irish law does not impose a duty to defend on the insurer, this is a matter of contract. The policy may impose such a duty or may simply provide that the insurer has a right to associate in the defence of the claim. In the event that an insurer takes on the defence of the claim, it must defend the claim subject to the contract of insurance. For indemnity policies, what triggers the insurer’s payment obligations? it being established that such liability has caused loss to the insured. Subject to the express provisions of the policy, the insurer’s payment obligation is triggered when the insured’s liability to a third party has been determined by agreement, award or court judgment (and not when the incident or occurrence giving rise to the liability takes place). Is there a period beyond which a life insurer cannot contest coverage based on misrepresentation in the application? Under Irish law there is no general incontestability period beyond which a life insurer cannot contest coverage based on misrepresentation in the application for coverage. The Irish courts occasionally award punitive or exemplary damages on public policy grounds. The Irish Supreme Court has confirmed that exemplary damages can be awarded where the damage caused was deliberate and malicious, and calculated to unlawfully cause harm or gain an advantage. The award of damages must be proportionate to the injuries suffered and the wrong done. Exemplary or punitive damages are insurable in Ireland. The Law Reform Commission considered this issue in a report published in 2000 entitled ‘Aggravated, Exemplary and Restitutionary Damages’. In this report, the Law Reform Commission stated that public policy considerations in favour of prohibiting insurance for exemplary damages were not strong enough to require legislation in this area. However, such damages are likely to be excluded from cover in circumstances where they are awarded to remedy an intentional act. What is the obligation of an excess insurer to ‘drop down and defend’, and pay a claim, if the primary insurer is insolvent or its coverage is otherwise unavailable without full exhaustion of primary limits? Excess insurance is not usually triggered until primary limits have been exhausted. Whether excess coverage is required to ‘drop down’ in circumstances where the primary insurer is insolvent will ultimately depend on the wording of the policy. As yet, there are no reported decisions of the Irish courts on the interpretation of excess policy wording. However, an Irish court would not be expected to order a ‘drop down’ in the absence of an express provision in the policy. What is an insurer’s obligation if the policy provides that the insured has a self-insured retention or deductible and is insolvent and unable to pay it? Subject to policy terms and conditions, where an insured is insolvent and unable to pay a self-insured retention or a deductible, there is no obligation on the insurer to pay the retention or deductible. However, the insurer will generally be obliged to pay the claim net of the retention or deductible unless payment of the retention or deductible is expressed to be a condition precedent to cover in the policy. As noted in question 22, a third party may have a direct action against the insurer under section 62 of the Civil Liability Act, in circumstances where an insured under a liability insurance policy becomes insolvent. However, in Hu v Duleek Formwork Ltd (in liquidation) and Aviva Direct Ireland Ltd  IEHC 50, High Court, 5 February 2013, the payment by the insured of an excess was a condition precedent to the policy and had not been paid. The court held that the third party was not entitled to remedy the breach by discharging the excess. What is the order of priority for payment when there are multiple claims under the same policy? Subject to the terms and conditions of the policy, where there are multiple claims under one policy, claims are usually paid in chronological order once they have been fully proved. How are payments allocated among multiple policies triggered by the same claim? In circumstances where more than one policy responds to the same loss, it is necessary to consider how the various responsive policies interact and which policy responds first. There is a distinction between double insurance, and instances where there are layered policies to provide for different levels of cover. In circumstances where there are layered policies, the excess policy is not triggered until the primary policy has been exhausted. In instances of double insurance (ie, where two or more policies cover the same risk on behalf of the same insured), the principle of contribution applies. Section 80(1) of the Marine Insurance Act 1906 provides that, in cases of double insurance, each insurer is bound to contribute rateably to the loss in proportion to the amount for which the insurer is liable under contract. In this respect, it is also necessary to consider whether a policy contains rateable contribution clauses, non-contribution clauses or an excess clause. Are disgorgement or restitution claims insurable losses? Disgorgement is not a concept of Irish law, but appears to encompass the concept of unjust enrichment. The doctrine of restitution also encompasses the concept of unjust enrichment, and is an equitable remedy recognised in Irish law. 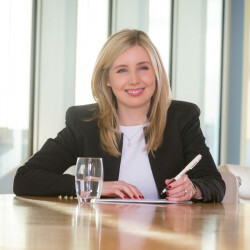 Restitutionary damages are recognised as a remedy for breach of contract, however, to date there have been very few awards of restitutionary damages by the Irish courts and the courts have not considered whether such damages are insurable. In circumstances where punitive or exemplary damages are insurable under Irish law, it would appear that restitutionary damages are insurable, although they are likely to be excluded from cover in circumstances where they are awarded to remedy an intentional act. How do courts determine whether a single event resulting in multiple injuries or claims constitutes more than one occurrence under an insurance policy? There are no reported Irish decisions on the interpretation of aggregation clauses in insurance contracts. There are a number of UK decisions that may be considered by the Irish courts to be persuasive in the absence of an Irish authority. However, the courts’ analysis is fact specific and each case depends on the particular wording of the relevant clause, therefore the judgments are of limited value. The courts distinguish between ‘any one event’ clauses and ‘one source or original cause’ clauses. In essence, the words ‘event’, ‘occurrence’ or ‘claim’ describe what has happened, whereas the word ‘cause’ describes why something has happened. The UK cases demonstrate that the courts will carefully examine the aggregation clause and will not hesitate to draw sharp distinctions between clauses which appear similar at a first glance. Under what circumstances can misstatements in the application be the basis for rescission? A ‘basis of contract’ clause is a declaration by the prospective insured warranting that all statements made in the proposal form are true and accurate and form the basis of the contract. The effect of such clause is to elevate those statements to the status of contractual warranties. As a result, misstatements in the proposal form may entitle the insurer to repudiate the contract without any reference to materiality. However, basis of the contract clauses are considered to be very draconian by the Irish courts and there is a judicial reluctance to enforce such clauses. The Consumer Insurance Contracts Bill 2017 proposes to abolish basis of the contract clauses in consumer insurance policies. Parties to contracts of insurance are subject to the duty of utmost good faith. As a result, the insured has a duty to disclose all material facts in the proposal form. The remedy for breach of the duty is avoidance. A material fact is one that would influence the judgment of a prudent underwriter in deciding: whether to underwrite the contract; and if so the terms (such as the premium) on which it might do so. The duty goes beyond a duty to answer questions on a proposal form correctly; however, the Irish courts have confirmed that the questions posed on the proposal form will inform the duty. There is no requirement to show inducement under Irish law. Misrepresentation is closely related to non-disclosure and attracts the same remedy. To rely on misrepresentation, the insurer must establish that there has been a representation of fact made by the insured that is untrue. Misrepresentations can be fraudulent, negligent or innocent. The common law position is that a misrepresentation is fraudulent if made with knowledge of its falsity or without belief that it was true or with reckless disregard as to whether it was true or false. The Consumer Insurance Contracts Bill 2017, if and when enacted (there is no clear timeline for its implementation), will introduce proportionate remedies for misrepresentation but retains the remedy of avoidance for fraudulent misrepresentation. Section 16 of the Bill replaces warranties with suspensive conditions and abolishes basis of contract clauses. The effect of the suspensive condition is that the insurer’s liability is suspended for the duration of the breach but if the breach has been remedied by the time a loss has occurred, the insurer shall (in the absence of any other defence), be obliged to pay the claim. This provision applies to any term however described that has the effect of reducing the risk underwritten by the insurer related to particular type of loss, loss at a particular time, or loss in a particular location. Are formal reinsurance disputes common, or do insurers and reinsurers tend to prefer business solutions for their disputes without formal proceedings? The vast majority of reinsurance agreements in Ireland include an arbitration condition, requiring all disputes under the agreement to be referred to arbitration in the first instance. As such, there are very few judicial decisions on reinsurance law in this jurisdiction. What are the most common issues that arise in reinsurance disputes? Do reinsurance arbitration awards typically include the reasoning for the decision? Since 8 June 2010, the Arbitration Act 2010 (the Arbitration Act) has applied the United Nations Commission on International Trade Law (UNCITRAL) Model Law to all Irish arbitrations. The Arbitration Act provides that an award made by an arbitrator must be in writing and shall state the reasons on which it is based, unless the parties agree otherwise. What powers do reinsurance arbitrators have over non-parties to the arbitration agreement? A third party cannot be joined to arbitral proceedings without its consent and therefore, absent the agreement of the third party, an arbitrator does not have the power to join a third party to an arbitration. Section 16 of the Arbitration Act allows an arbitrator to consolidate multiple arbitral proceedings, including where these proceedings involve a different party or parties, in circumstances where all parties are in agreement with consolidation. Can parties to reinsurance arbitrations seek to vacate, modify or confirm arbitration awards through the judicial system? What level of deference does the judiciary give to arbitral awards? Under section 23(1) of the Arbitration Act, an award made by an arbitral tribunal under an arbitration agreement is enforceable by action or by leave of the High Court, in the same manner as a judgment or order of that court and with the same effect. the composition of the arbitral tribunal was not in accordance with the agreement of the parties, unless such agreement was not in accordance with the law. It is also open to parties to challenge an award where the court finds that the subject matter of the dispute is not capable of settlement by arbitration or that the award is in conflict with the public policy of the state. As such, following the enactment of the Arbitration Act and the application of Model Law, the Irish courts afford substantial deference to arbitral awards. Does a reinsurer have an obligation to follow its cedent’s underwriting fortunes and claims payments or settlements in the absence of an express contractual provision? Where such an obligation exists, what is the scope of the obligation, and what defences are available to a reinsurer? The onus to establish that the loss was covered and that there is actual liability for the reinsurer to pay is on the reinsured unless the contract proves otherwise. The scope of the obligations and defences available to the reinsured are generally provided for within the contract itself; this is normally prescribed to be either a ‘follow-the-settlements clause’ or ‘follow-the-fortunes clause’. Is a duty of utmost good faith implied in reinsurance agreements? If so, please describe that duty in comparison to the duty of good faith applicable to other commercial agreements. Parties subject to contracts of reinsurance are subject to the duty of utmost good faith. It is significantly different to other commercial agreements as it imposes a positive obligation on the insured to make a disclosure. Both parties have an overriding obligation to disclose all material facts and it is possible to breach the duty by omission or silence. Is there a different set of laws for facultative reinsurance and treaty reinsurance? Under Irish law, both facultative reinsurance and treaty reinsurance are treated the same. Treaty reinsurance is generally more common than facultative reinsurance in the Irish market, although this depends on what the parties are trying to achieve. Reinsurance contracts are discussed generally in question 15 above. Can a policyholder or non-signatory to a reinsurance agreement bring a direct action against a reinsurer for coverage? In accordance with the common law doctrine of privity of contract, a contract cannot be enforceable in favour of or against a person who is not party to the contract. What is the obligation of a reinsurer to pay a policyholder’s claim where the insurer is insolvent and cannot pay? The Guidelines (see question 15) provide that Irish authorised cedents must ensure that reinsurance agreements entered into include a mandatory insolvency clause requiring the reinsurer to perform its contractual obligations without reduction if the ceding insurer becomes insolvent. However, the reinsurer, for reasons of privity (see question 44) is not required to settle policyholder claims. What type of notice and information must a cedent typically provide its reinsurer with respect to an underlying claim? If the cedent fails to provide timely or sufficient notice, what remedies are available to a reinsurer and how does the language of a reinsurance contract affect the availability of such remedies? There are no prescribed provisions under Irish law that specifically govern notice and information between insurer and reinsurer. Usually these issues are dealt with in the reinsurance agreement together with the remedies for failure to comply. Where an underlying loss or claim provides for payment under multiple underlying reinsured policies, how does the reinsured allocate its claims or settlement payments among those policies? Do the reinsured’s allocations to the underlying policies have to be mirrored in its allocations to the applicable reinsurance agreements? As there is no statutory law that regulates the allocation of underlying claims, the allocation of such claim payments or settlements depends on the respective reinsurance agreements. The reinsurance agreements may provide that the allocation of claims has to occur in proportion to the reinsured amounts or, alternatively, it may establish a ranking between the respective reinsurance policies where the reinsured must exhaust the first-ranked policy before turning to subsequent reinsurance policies. What type of review does the governing law afford reinsurers with respect to a cedent’s claims handling, and settlement and allocation decisions? Irish law does not provide any specific type of review rights in favour of the reinsurer. In practice, such a right of the reinsurer will be dealt with by the terms of the reinsurance agreement, and will most commonly include the submission of information or documents proving the occurrence of the loss or the fact that allocation was made in accordance with the reinsurance contract. What type of obligation does a reinsurer have to reimburse a cedent for commutation payments made to the cedent’s policyholders? Must a reinsurer indemnify its cedent for ‘incurred but not reported’ claims? Irish law is silent as to whether a reinsurer is obliged to follow the cedent’s settlement of reinsurance claims by way of commutation. In practice, the obligation of the reinsurer to reimburse the cedent for its commutations with the underlying insured will depend on the terms of the reinsurance contract, particularly with reference to the provisions as to ‘follow-the-settlements’ and as to the claims settlement authority vested in the cedent. What is the obligation of a reinsurer to reimburse a cedent for ECOs? Irish law does not provide any specific rule regarding ECOs. Instead, the reinsurer’s liability towards the cedent is determined by the reinsurance agreement usually within loss settlements reinsurance clauses. Following the United Kingdom’s decision to leave the EU and the subsequent triggering of Article 50, many financial services companies are now looking to establish a subsidiary in a country with access to the Single Market to mitigate the potential loss of passporting rights post-transition period (which has been agreed to be December 2020). Ireland’s well-established prudential regulation, common law jurisdiction, well-educated English-speaking and flexible workforce together with its close proximity to the UK has cemented its status as a thriving hub for the insurance industry. Authorisation-related activity since the Brexit vote has continued to increase including queries regarding insurance authorisations. It is anticipated that the increase in authorisation-related activity will continue. Compared to 2017 levels, we anticipate further increases in the levels of insurance industry M&A activity in 2018. While the lack of clarity about specific proposals under Brexit and the proposed changes to the US financial services industry regulations and tax code may be a short-term inhibitor of insurance M&A, once clear, some of the changes may drive increased deal-making as the year progresses. Data protection in Ireland is governed by the Data Protection Acts 1988 and 2003 (the DPA) which transposed the EU Directive 95/46/EU into Irish law (the Data Protection Directive). The provisions in DPA will be largely superseded by the General Data Protection Regulation (Regulation (EU) 2016/679 of the European Parliament and of the Council of 27 April 2016) (GDPR), which will come into force on 25 May 2018. The GDPR will be directly effective in Ireland, meaning that the Irish parliament does not have to implement national legislation for the GDPR to become law. Notwithstanding this, the GDPR allows member states of the European Union to derogate from some provisions of the GDPR whereby member states can legislate for these areas separately under national law. The GDPR enhances and extends current data protection principles such as transparency, security and data minimisation. It also has higher standards in relation to accountability whereby data controllers and data processors are accountable for and must demonstrate compliance with their respective obligations under the GDPR. The Irish Data Protection Commissioner (the DPC) will continue to proactively undertake a wide range of initiatives to build awareness of the GDPR. The DPC will be in a strong position to take action against data controllers and data processors that breach the rights of individuals under the GDPR. In 2017, the DPC’s budget was increased by the Irish Government and there has been a significant growth in the number of staff which indicates the DPC will be well equipped to address non-compliance with the GDPR. The Data Protection Bill 2018 (the Bill) was published on 1 February 2018, and is intended to give further effect to the GDPR in Irish law. The Bill legislates for most areas where derogations from the default position in the GDPR are permitted. This includes the introduction of a section in the Bill allowing an exemption to the general prohibition to process special categories of personal data where the processing will be for insurance and pension purposes. The Bill has already been passed by one of the Irish houses of parliament, and is expected to be signed into law in advance of the commencement of the GDPR. As noted at question 21, while the IDD was due to be transposed by the EU’s member states by 23 February 2018 and replace the Irish Insurance Mediation Regulations 2005, this deadline has now been changed. Member states are now required to transpose the IDD into national legislation by 1 July 2018 and the deadline for complying with the IDD is now 1 October 2018. The IDD will create a minimum legislative framework for the distribution of (re)insurance products within the EU and aims to facilitate market integration and enhance consumer protection. Drones are an emerging and rapidly developing technology, and new legislation is proposed in Ireland to increase existing drone regulation and impose criminal liability for certain drone offences. The draft bill (the Small Unmanned Aircraft (Drones) Bill 2017) imposes an obligation on commercial drone operators to have insurance for any liability arising from drone operation, including potential collision with persons or property, and it will be a criminal offence to operate a drone for commercial use without insurance. There is no clear timeline for the implementation of this Bill. As the market continues to grow, it seems inevitable that drone insurance will be a growth area. Driverless cars and autonomous vehicles present particular challenges for the motor insurance industry. The existing Irish legislative framework is driver-centred and will need to be updated to facilitate driverless cars on Irish roads. The UK has proposed a single insurer model where both driver and driverless technology are insured under one policy. While this has not yet been considered by the Irish legislature in any meaningful way, it can be anticipated that the legislature is likely to follow the approach taken in the UK, given the similarities between the existing road traffic frameworks in both countries. The market for cyber insurance is growing and is seen as one of the biggest growth areas in the insurance industry globally. According to industry data, the global cyber market was estimated to be worth around US$4.3 billion in premiums in 2017. Fitch believes cyber insurance premiums could increase to US$20 billion by 2020. Cyber insurance is still a relatively new product on the Irish market. However it has become more popular in recent times and a number of insurers are now offering new cyber products in Ireland as a result. It has become a board issue in anticipation of the introduction of the GDPR on 25 May 2018 and following a number of high profile cyber-attacks in recent years. It is expected that cyber will be a growth area in Ireland in the coming years. In our view, the market leaders over the next five years will be those insurance companies that branch away from the traditional insurance business model towards a more technology-friendly operating model. In today’s digital economy, consumers want instant access to relevant and simplified information and this extends to complex insurance products. Embracing the benefits that technological advances can offer to the design and distribution of innovative insurance products will enable progressive companies to meet the needs and expectations of consumers in a more effective and efficient manner. In May 2017, the Irish Supreme Court confirmed in its decision in Persona Digital Telephony Ltd & Another v. Minister for Public Enterprise  IESC 27 that third-party funding of litigation is unlawful, and indicated that any changes to the law in this regard in Ireland would be a matter for the legislature, not the courts. However, the Irish High Court has previously made clear that after-the-event insurance is valid; therefore, post-Persona Digital, ATE insurance is the only valid third-party funding in this jurisdiction. In 2017, European and local competition regulators commenced an investigation into whether there are concerted practices between insurers and brokers in the commercial motor insurance industry in Ireland. There is a similar investigation in the UK in relation to the aviation sector. Following the UK Supreme Court decision in Plevin v Paragon Personal Finance Limited  UKSC 61, a further redress scheme in respect of PPI is underway in the UK. In light of the changes to the limitation period for claims to the Financial Services and Pensions Ombudsman (FSPO) in relation to long-term financial products (the current limitation period for consumer complaints in respect of ‘long-term financial services’ has been extended from six years to: (i) six years from the date of the conduct giving rise to the complaint; or (ii) three years from the date on which the person making the complaint first became aware or ought to have become aware of that act or conduct; or (iii) such longer period as may be permitted by the FSPO), it is possible that there could be further litigation in relation to the sale of PPI in Ireland. 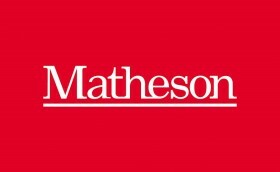 The primary focus of Matheson is to serve the Irish legal needs of international companies and financial institutions doing business in and through Ireland. Our clients include over half of the world’s 50 largest banks, seven of the world’s 10 largest asset managers, seven of the top 10 global technology brands and we have advised the majority of the Fortune 100.